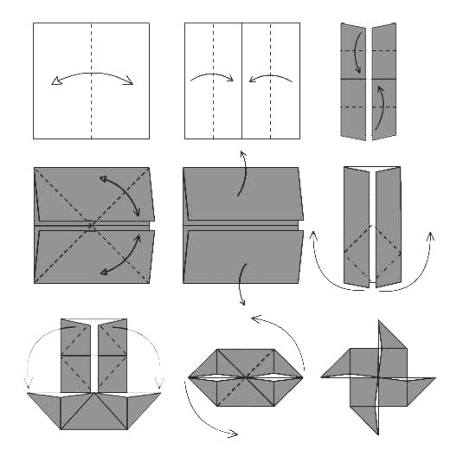 The origami often has bases of common foldings. 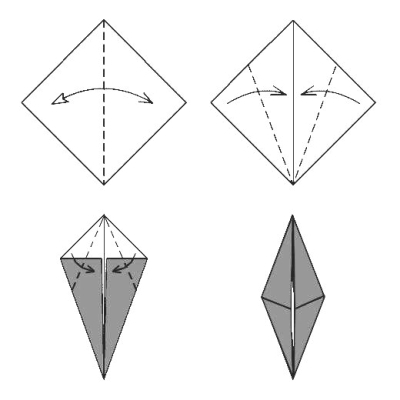 A certain number of diagrams begins a basis directly. It is necessary therefore to know them. The preliminary basis . 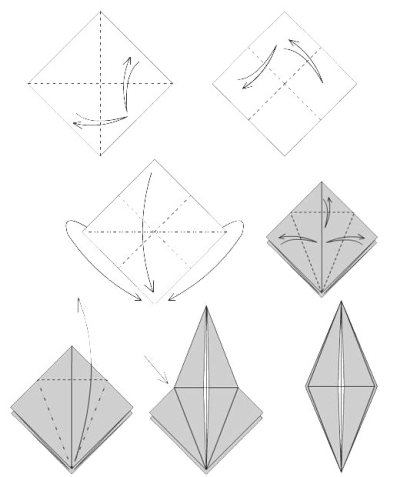 As its name indicates it, the preliminary basis acts as basis to other bases of origami. 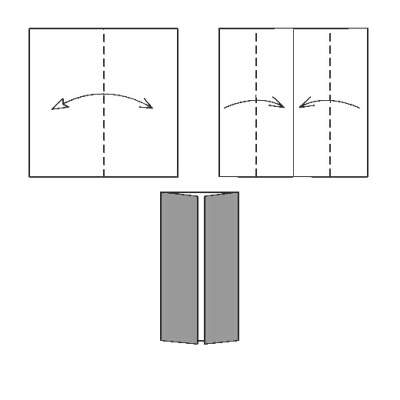 It combines two folds mountains performed along the diagonals of the square to two folds valley performed along the medians of the square.